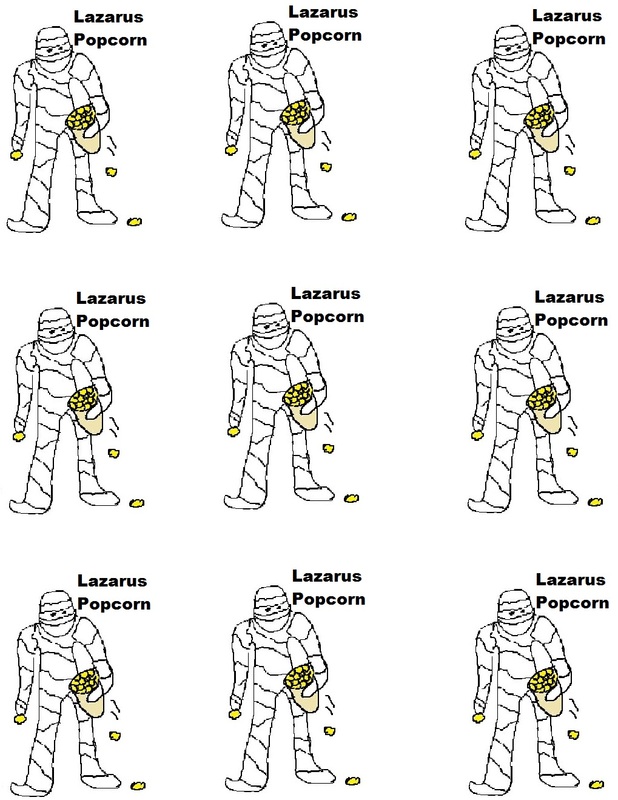 Print Lazarus Template out. Cut them out. Tape them to plastic or styrofoam cups. Punch 2 holes in cup opposite sides of each other. Put pipe Cleaners through hole and knot it. Fill it up with some popcorn now! These would make a fun craft and snack for the kids to make themselves. 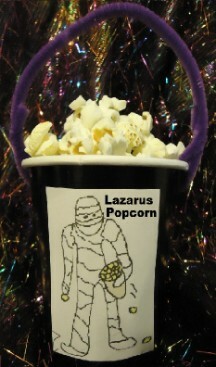 Use this craft to teach the kids how Jesus worked a miracle by raising Lazarus from the dead. 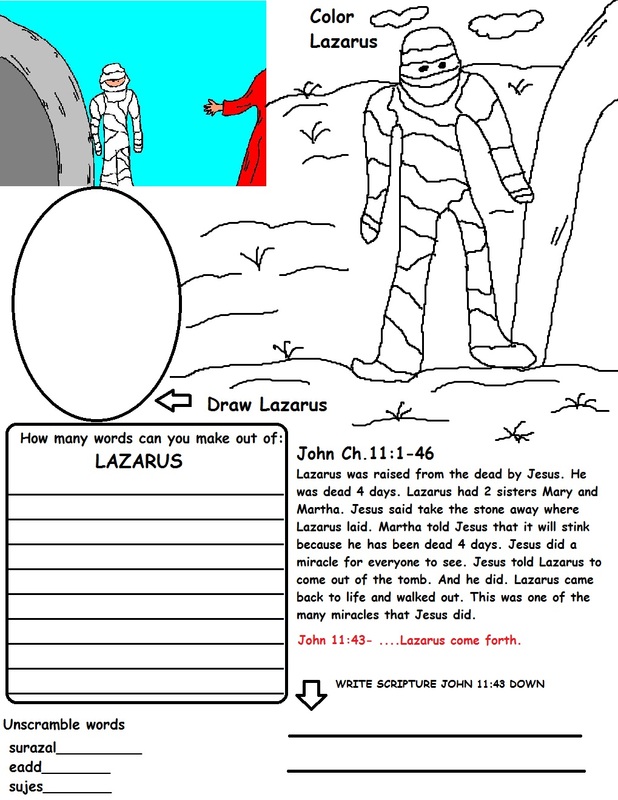 Use this with our Lazarus Sunday school lesson, it has a maze, writing paper, word in word, recipe, activity sheet, coloring page, printable lesson and more to with it. We have more miracles of Jesus crafts. 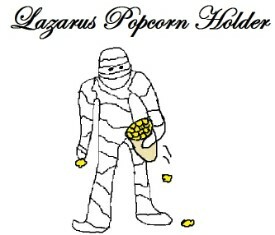 We also have Lazarus Dog snacks. 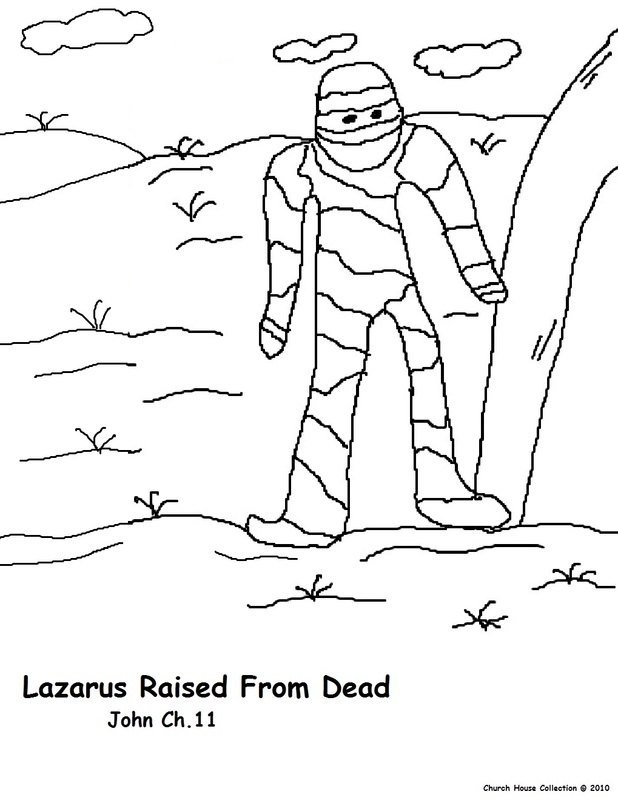 Let the kids do a Lazarus activity sheet or coloring page if time permits.